Why You should opt for Cafe Co-working Spaces over Cafes? With the advent of new start-ups and emerging entrepreneurs, the concept of Café Co-Working too is growing at a rapid pace. It helps in the availability of the facilities and all the necessary resources at the cost of the cafes. While the traditional working scenario for the start-ups was confined to the simple cafes that only provide coffee and few extra meals, the Café Co-Working Space is an amalgamation of much more than the periphery of a simple café. · Availability of Free Wifi, Food and Space:The best asset that is required within an office space is the provision of the professional culture along with the internet connection to carry out the task at a much faster pace. Unlike the conventional cafes that only offer food facility with some of the exceptions also giving limited wifi connection, these Café Co-Working places give you a full swing of opportunities to perform tremendously well with all the necessary features that are available at a much economical rates. You are able to get all the things that are technologically convenient and also a separate cubicle to work in an efficient manner. What more could one ask for? · Instant Office Space at the Nook: As a start-up entrepreneur you have to travel a lot on your own and sometimes require the office space to send an email or meet a prospective client into a professional atmosphere while having a chat over the coffee. These Café Co-Working offices are a promising feature in your travel as it gives you an ambience to develop networking as well gives you all the facilities that are required by you. · Available During Weekends: As an entrepreneur or a start up founder, sometimes you are working in a job and require office space where you can relax and work during the weekends. 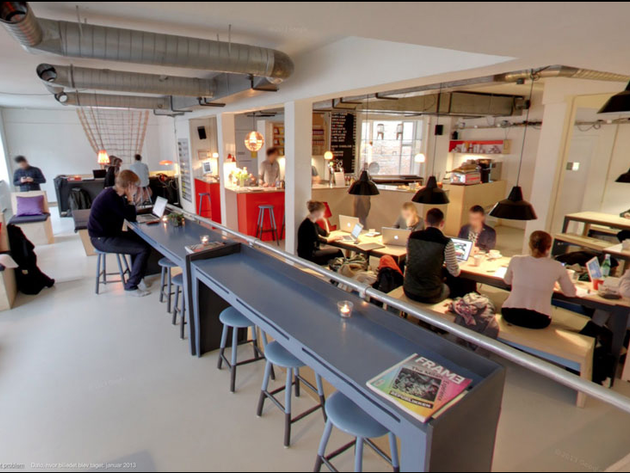 These Café Co-Working places are the best option to explore your work. Unlike the normal cafes that tend to get hooked up with lot of people during the weekends, these spaces are full of people with creative ideas and information that is beneficial for you as an early entrepreneur. · Strong Networking: While in the normal cafes the people who are coming and going have no role to play in your life, the Café Co-Working helps you build strong community networks that can foster growth and excellence in your work. Hence, Café Co Working is having a much more promising work life than simple Cafes. How working professionals can use Co-working Spaces during weekends and enhance productivity? 5 Reasons to opt for Co-Working Spaces over Home Office?